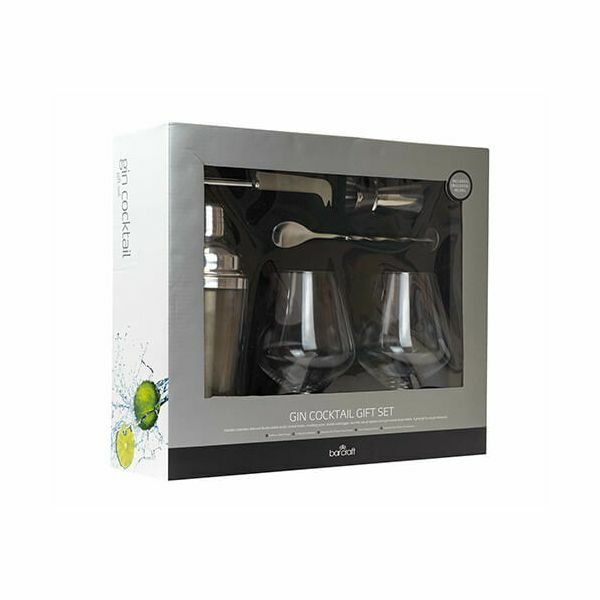 This 6 piece Gin Cocktail Gift Set includes a cocktail shaker, a long handled muddler spoon, a double jigger measure and two short stemmed gin glasses. 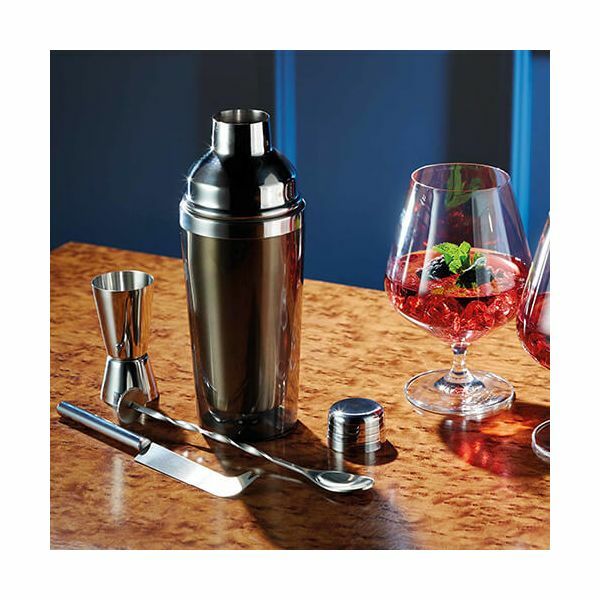 The set is ideal for mixing and serving gin cocktails and comes complete with a recipe book for getting started. 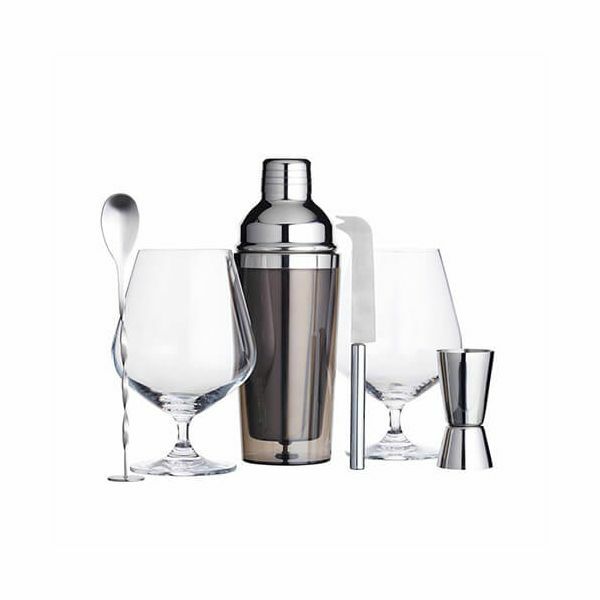 This 6 piece set is presented in a gift box and has a 12 month guarantee.